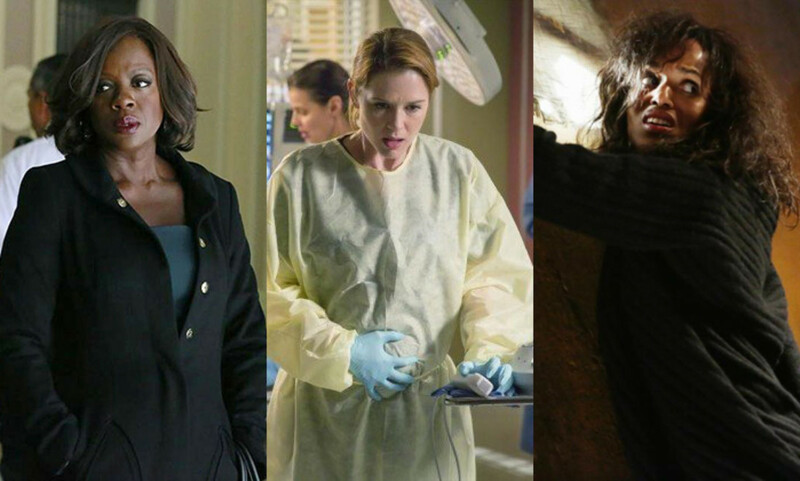 Shonda Rhime’s #TGIT lineup returned with gut-wrenching scenes, more than a few tears and one hell of a mind trip, but which did you enjoy most? Grey’s Anatomy returned with Meredith (Ellen Pompeo) coming to terms with Derek (Patrick Dempsey) leaves her for Washington. April (Sarah Drew) and Jackson (Jesse Williams) dealt with the medical revelation about their baby. Dr. Herman (Geena Davis) agreed to Little Shepherd (Caterina Scorsone) opening up her brain…when the time was right. Meanwhile, General Hospital’s Nicolas Bechtel proved he couldn’t just cause problems for his TV dad Nikolas Cassadine (Tyler Christopher), but for GREYS’ Dr. Bailey (Chandra Wilson) as well. Grey’s Anatomy is just good ole&apos; Thursday night comfort food. 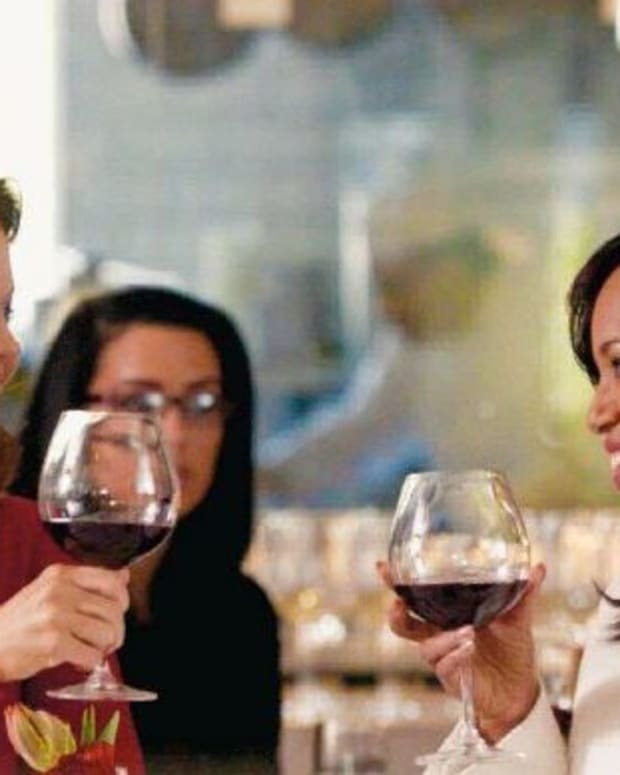 Scandal picked up with its winter finale cliffhanger of Olivia Pope (Kerry Washington) being kidnapped. Jake (Scott Foley) discovered she had been taken and ran through the apartment building in nothing but his boxers. It turns out Olivia was snatched by a highly skilled strike team and thus began an episode that felt more like Alias 2.0 than Scandal. ABC rounded out the night with the return of its blockbuster freshman legal drama How To Get Away With Murder. Annalise (Viola Davis) successfully freed Rebecca (Katie Findlay) by pinning her friend’s murder on the now dead Sam (Tom Verica). Just when Wes (Aflred Enoch) and Annalise thought they were in the clear they had to prevent Connor (Jack Falahee) and Michaela (Aja Naomi King) from going to the cops. 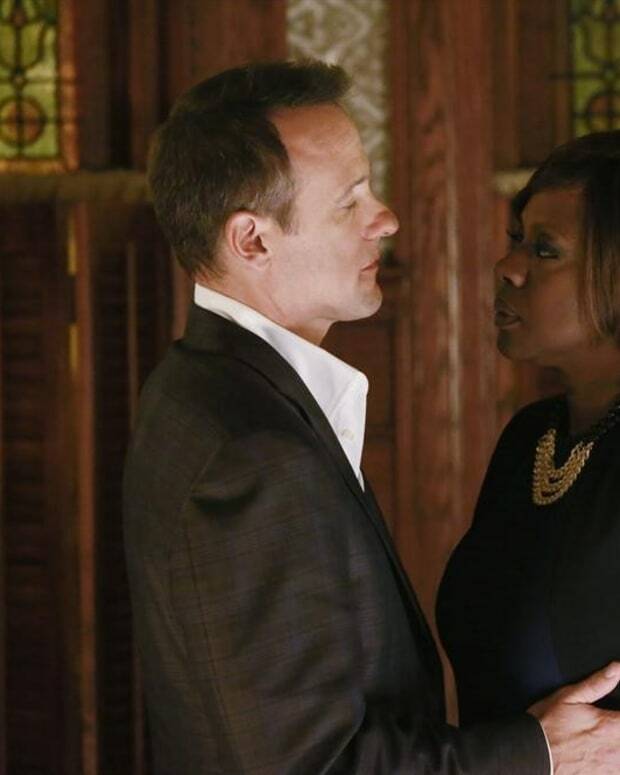 Annalise promised that she’d help them get away with Sam’s murder if they trusted her. The episode ended with teacher and students back in the classroom and Annalise providing a “hypothetical” case for her class to solve. Of course the case had a striking resemblance to what actually happened to Sam. Before its winter finale I’d considered dropping How to Get Away With Murder, but now that Annalise is protecting her protégés by helping them get away with murder I’m all-in for the rest of the season. Which Valentine's Wedding Did You Enjoy Most?